Ultra-High Precision CMM and Gear Measuring System - CMM Inc. The Leitz PMM-C combines highly accurate 3D metrology performance with well-proven gear measurement capabilities. This coordinate measuring machine (CMM) can be equipped with tactile probes for maximised scanning accuracy and a variety of optical sensors for non-contact measurements. 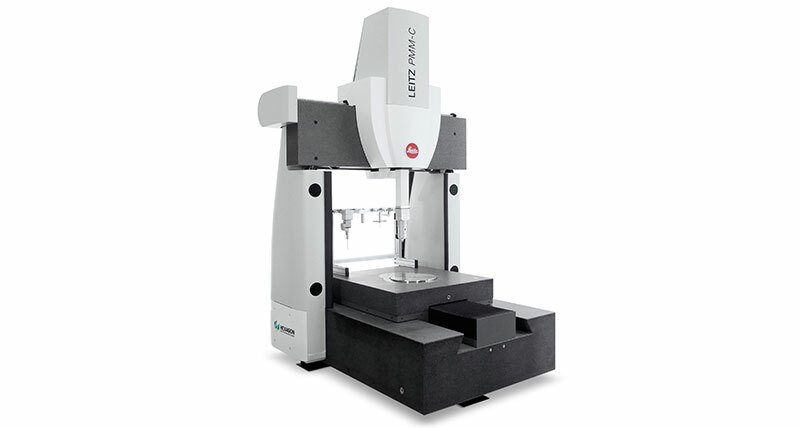 An ultra-high precision coordinate measuring machine, the Leitz PMM-C series is most suitable for quick inspection of basic geometries, such as cylinder blocks, gear boxes, etc. The Leitz PMM-C line combines ultra-high accuracy with unmatched high machine dynamics. This results in extremely short cycle times and optimised throughput. Fast data collection and advanced high-speed scanning further improve throughput for efficient process control. The Leitz PMM-C Infinity edition offers a 0.3 micron accuracy and 0.1 micron repeatability. The system is capable of fast due to variable high-speed scanning (VHSS) and precise inspection of any type of gear including gear cutting tools up to 1550 mm in diameter. Special geometries can also be measured easily, such as gears, optical lenses, camshafts, worms, and screw compressors. Lastly, the Leitz PMM-C series offers an integrated high-speed-scanning capability, for rapid collection of large numbers of data points. It also has various filtering options available.